You’ll see them in the villages and dirt roads of rural South Africa, and on the streets of the country’s townships: undistinguished medium-sized dogs, sometimes scrawny, with long snouts, pointed ears, short brownish coats and springy up-curled tails. They’ve been dismissed as mongrels, strays, curs, street dogs. Racists have even called them k*** dogs. 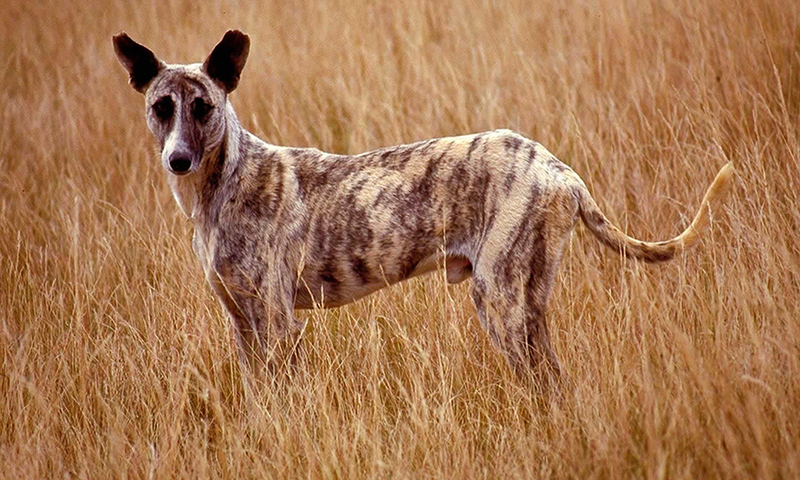 But these dogs are a distinct breed, endemic to southern Africa. They’re loved and valued by their owners. And they have a proven lineage going back some 7 000 years. They are the Africanis, the original dog of Africa. Africanis dogs were long valued in precolonial South Africa for their hardiness, intelligence, loyalty and hunting ability. But it was only in the 21st century that they began to lose the western stigma of “mongrel”, thanks to the work of two men: dog experts Johan Gallant and Joseph Sithole. For years Gallant and Sithole roamed rural KwaZulu-Natal, studying and photographing the dogs they came across in kraals and homesteads. They concluded that these animals were not a mess of mongrels but members of coherent breed of dog, with a distinct behaviour and appearance. Gallant came up with a name for the breed: “canis” (Latin for dog) and “Africa” – the Africanis. He later wrote up his and Sithole’s work in The Story of the African Dog, published by the University of KwaZulu-Natal Press in 2002. 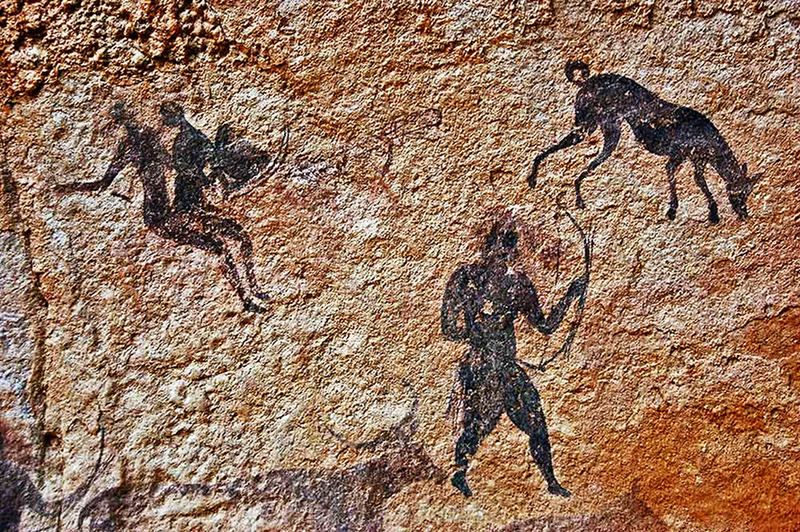 The Africanis is descended from dogs pictured in ancient cave art and on Egyptian murals. The earliest remains of the domesticated dog in Africa was found in the Nile delta and dated to 4 700 BC. 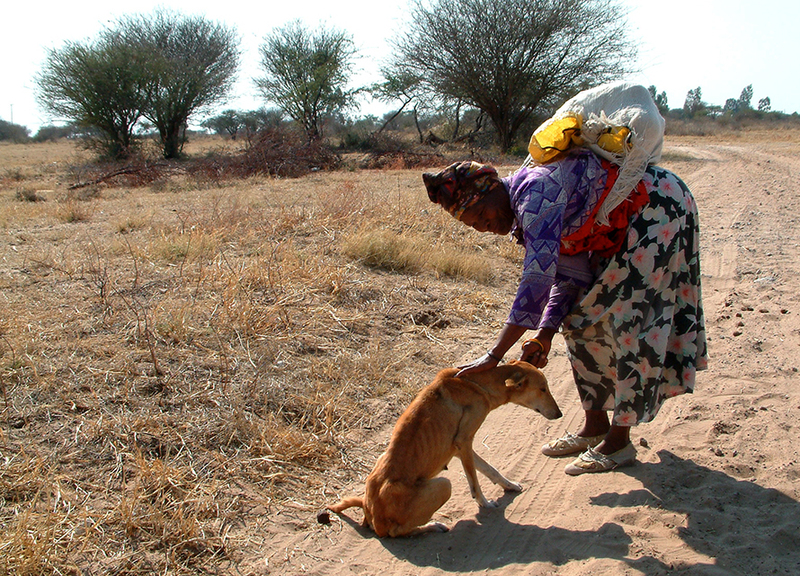 Today, Africanis dogs are found all over southern Africa. What makes the Africanis unique is that the dog was shaped by natural, not human, selection. Unlike Western dog breeds, whose appearance and disposition have been determined by the human standards of the Kennel Clubs, the Africanis evolved to survive in the often harsh conditions of Africa. The Africanis is the result of natural selection and physical and mental adaptation to environmental conditions. It has not been “selected” or “bred” for appearance. For centuries, the fittest and cleverest dogs survived to give us one of the rare remaining natural dog races in the world. Also unlike Western breeds, the Africanis does not have a rigidly uniform appearance, although Gallant and Sithole have identified the common traits that define the breed. “The beauty of this dog is embodied in the simplicity and functionality of its build,” says Gallant. The Africanis is of medium size and well muscled. It is agile and supple and can run at great speed. The coat is generally short, in a range of colours and with or without markings. A ridge of hair is sometimes be seen on the back – one of the Africanis’s genetic contributions to the Rhodesian Ridgeback. The head is wedge-shaped, and the face expressive. Its slender build is sometimes wrongly attributed to starvation. When in good condition, the animal’s ribs are just visible. Because the Africanis has roamed freely in and around rural settlements for centuries, it has a need both for space and for human companionship. Traditionally it is always close to humans, other dogs, livestock and domestic animals. 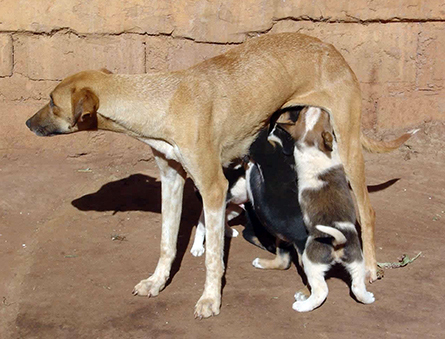 Africanis is well disposed without being obtrusive: a friendly dog, showing watchful territorial behaviour. The dog displays unspoiled social canine behaviour with a high level of facial expressions and body language. Its nervous constitution is steady, but the dog is always cautious in approaching new situations. In other words: it displays a high survival instinct. How did the Africanis get here? Genetic evidence has shown that dogs are descended from an ancient species of wolf, the ancestor of both today’s dogs and wolves. Dog evolution was slow and uneven, but generally determined by one thing: their association with people. Over millennia they evolved from wild hunters to scavengers looking for scraps around human settlements until, finally, they became our domesticated best friend. But how did the Africanis land up on the southern tip of the continent? 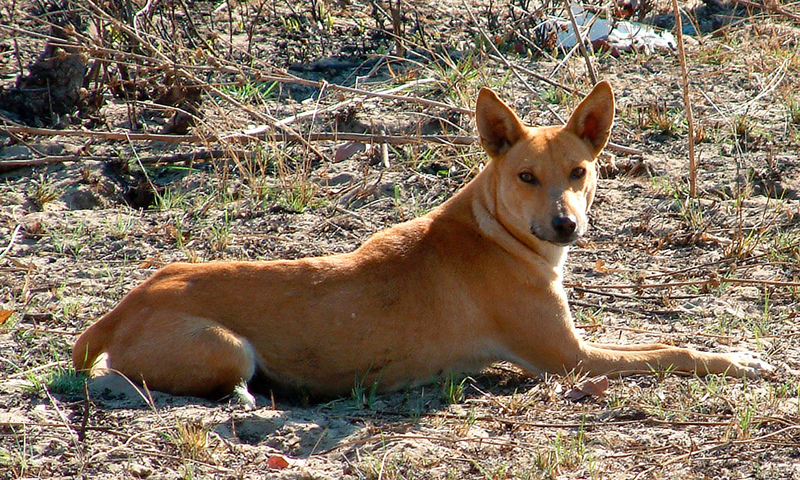 It is known that the domestic dog migrated with Mongol people to the Americas, arrived in Japan with early Jomo immigrants, later making its way with Eastern seafarers all along the archipelagos in the Pacific and finally reaching Australia, where these dogs became the feral dingo – making the Africanis a distant dingo relation. 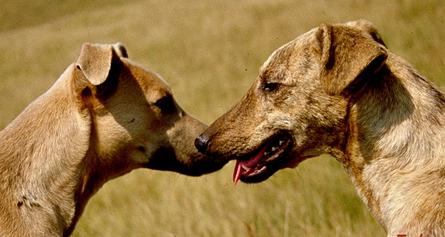 Dogs arrived in Africa via a similar route, according to Gallant’s research. The earliest record of domestic dogs – Canis familiaris – on the African continent are fossils found in the Nile estuary and dated to 4 500 BCE. The animals, descended from wild wolf packs of Arabia and India, probably arrived from the East with Stone Age traders exchanging goods with the people of the Nile valley. 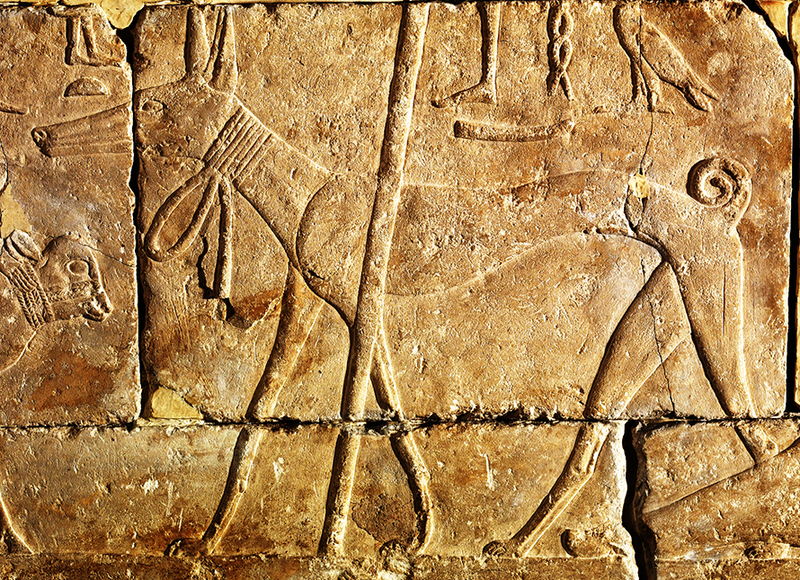 Even before the time of the Egyptian dynasties, domestic dogs spread quickly along the Nile River. Seasonal migrations and trade also took them into the Sahara and Sahel. Iron-using people brought their domestic dogs along when they left the grasslands of Cameroon in a massive migration which eventually led to their settlement in southern Africa. Dogs presumably accompanied these Bantu-speaking people in their long migration from West Africa down south to South Africa, an expansion that started in about 3,000 BCE and continued to around 1,000 CE. Once here, the dogs were acquired by San hunter-gatherers and Khoekhoe pastoralists. 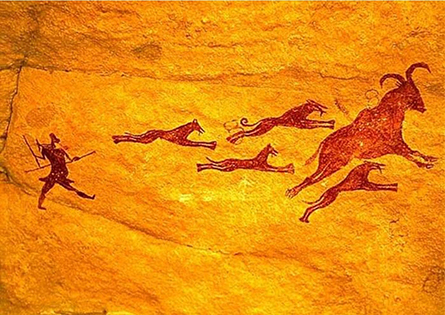 The earliest evidence of domestic dogs in South Africa is remains found near the Botswana border and dated at 570 CE. 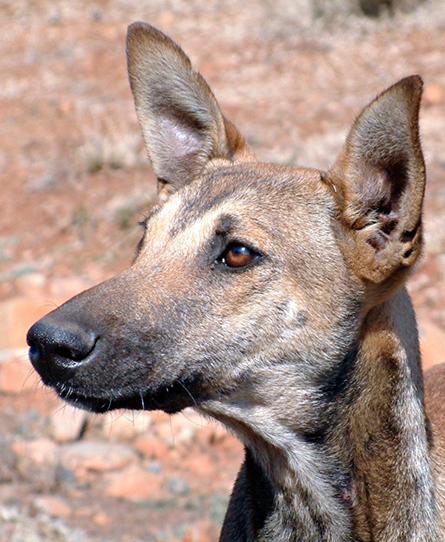 By 650 CE the dog is found in the lower Tugela valley, and by 800 CE in a Khoesan settlement at Cape St Francis, indicating that contact between the Bantu and Khoesan had been established. The evidence that the Africanis is a distinct breed, and not a mongrel of Western types, is increasingly clear. 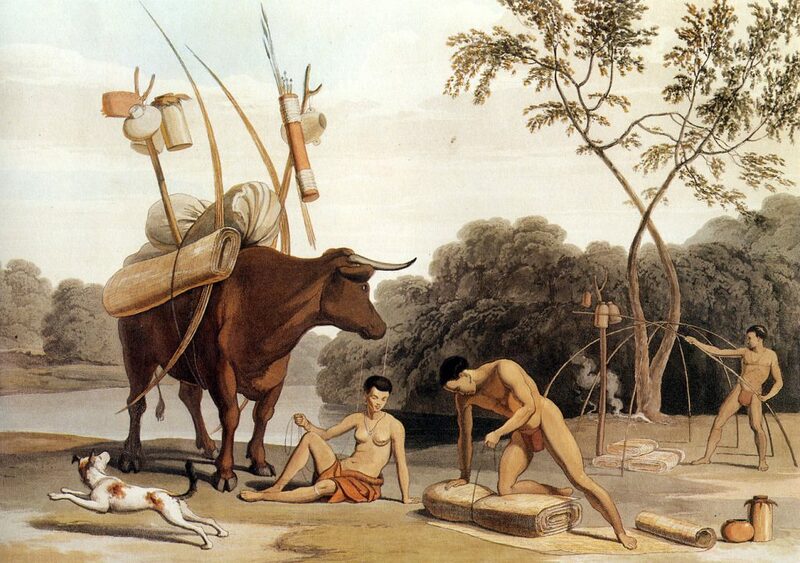 A good thousand years before any possible serious Western influence, the people of southern Africa were hunting with dogs that had become endemic to the region. Foreign influence on the breed came only with the colonisation of Trankei and Zululand in the 19th century. Later, migrant labourers brought Western dogs back from the cities, where they bred with local dogs. Particularly favoured was the Greyhound, which migrants would have come across at the dog races popular at the time. Their speed would have made them ideal hunting dogs. In Zululand, crosses between Greyhound and Africanis are called Ibhanzi. They are not considered to be traditional dogs. Today, the true Africanis is mostly found in rural areas. A fast-changing South Africa, urbanisation and disdain for the traditional dog poses a threat to the breed’s survival. The Africanis Society was established to conserve this ancient and valuable canine gene pool. The society is strictly a conservation body, launched in 1998 by Gallant and Dr Udo Küsel, director of the National Cultural History Museum. The Africanis is part of Africa’s unique heritage and biodiversity, and deserves recognition and protection. Unique in the world, the society’s purpose is to conserve a natural dog – not to “develop” the breed, or artificially breed dogs for selective characteristics. It maintains a code of ethics, guidelines for breeding, regulations and a procedure for registration, and a register of inspected and approved Africanis dogs. Advanced DNA testing is standard. The society also helps members obtain true Africanis puppies. So if you’re looking for a dog, this hardy and intelligent breed may be for you. Visit the Africanis Society website.